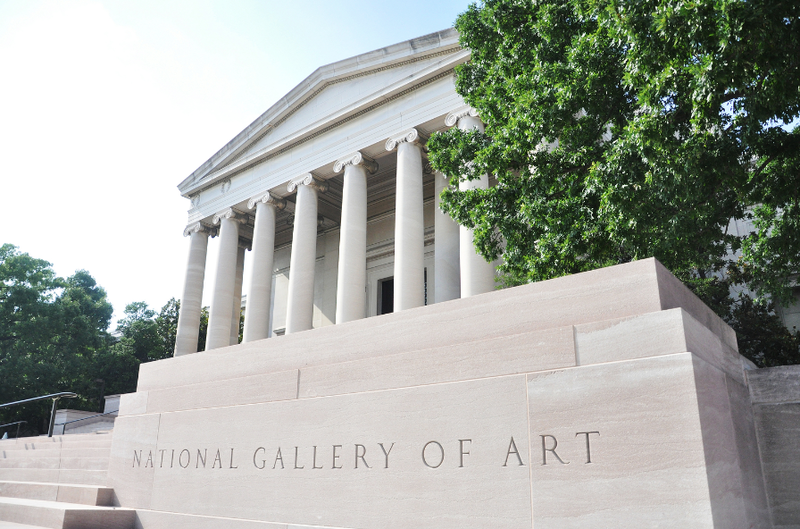 The National Gallery of Art is one of the nation’s largest art galleries and it has one of the most varied collections in the world. Even the structure in which these works are housed has its own history and architectural significance. The collection started, as most art galleries do, from a private collection of paintings. These were curated by Andrew Mellon, who was the Treasury Secretary and a successful banker in his lifetime. He had a huge appreciation for fine art and sought to create a group of paintings that he could be proud of. During the latter half of his term as secretary, he decided to turn his private collection into one that could be enjoyed by all citizens. He was fond of Old Masters paintings and had acquired many of them by the time he turned his efforts towards his new venture. He established a trust to purchase and curate these paintings, which went on to snap up 21 pieces of art in its first year. These came from a sale at the Hermitage Museum in St. Petersburg, which included work from artists like Raphael, Titian and Jan van Eyck. This kicked the gallery off with some incredible paintings at a cut price, which allowed them to start curating paintings that the public wanted to see. At this point, the gallery didn’t yet exist, so they had the paintings but nowhere to put them. Their chance to create the building came when the director of the Smithsonian retired, and at this time, Mellon stepped in. He asked that the institute not appoint their new director until he had established another gallery in the area, so that he could do so without interference. His plan was halted while he was on trial for tax evasion, which was a direct result of the trust and the paintings they had purchased. He gifted the funds to create the gallery in 1937, which they later accepted, allowing work to begin. This was the subject of much bad press at the time, as some felt that the government should not accept these funds. The plan was created by famed architect John Russell Pope, who had already created the National Archives at this point. Two months after ground was broken on the project, Mellon passed away in August of 1937, so he never lived to see the project completed. In the 1970s, the museum was extended further with another building, to house the amount of paintings that they had amassed. Now, the gallery works with others around the world to lend and borrow paintings and exhibitions. They have sculptures, photographs and even modern art to view and learn about. The artist profiles and inspirations sit beside each exhibit, so viewers can learn about where the artist came from and what their work is portraying. There’s always something going on at this gallery, so check out our tours to make a visit. They cater to all levels of art enthusiasts and you’re bound to find something interesting and thought provoking here.